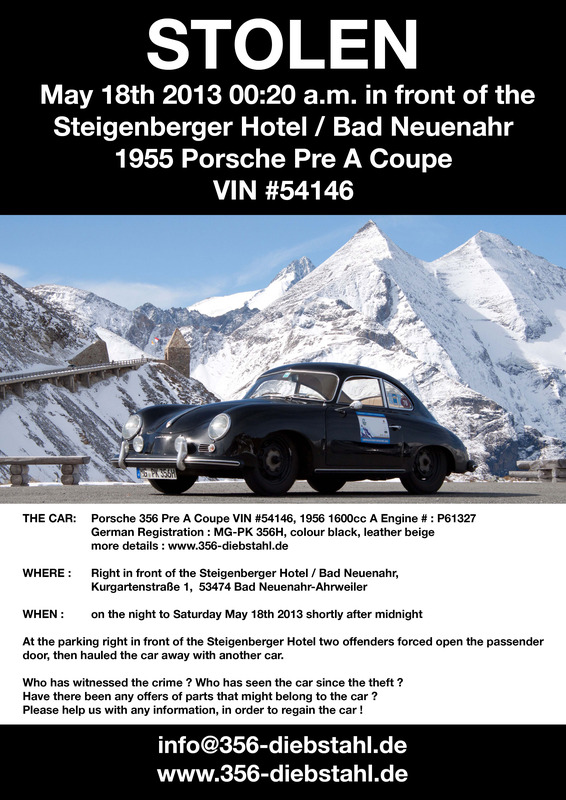 STOLEN 1955 Porsche 356 Bendwindow Coupe close to the Nürburgring in Germany…need help! ATTENTION: Porsche People…ANOTHER STOLEN PORSCHE!! A friend of mine had his 1955 356 Bendwindow Coupe STOLEN ! SHARE ON YOUR FACEBOOK PAGES/PROFILES, WEBSITES AND CONTACT YOUR MEDIA FRIENDS. LET’S GET THIS CAR BACK SAFELY! 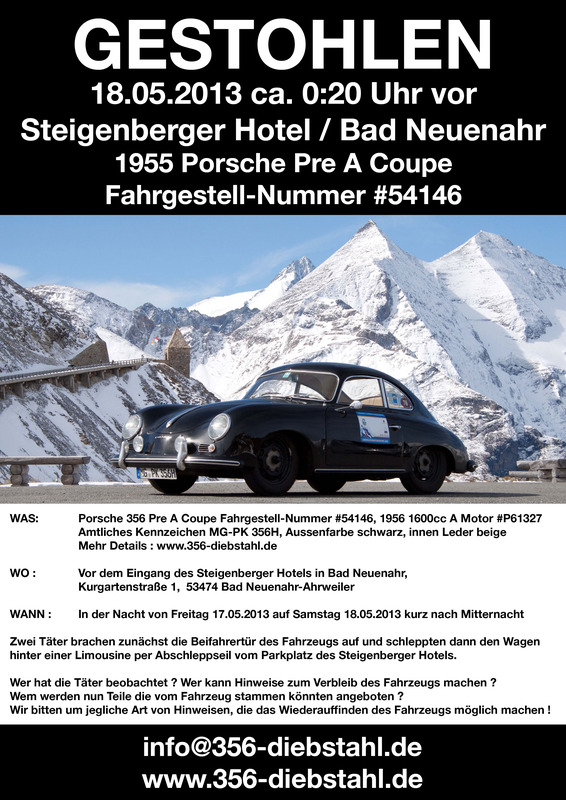 thanks for sharing this.The car was stolen last Saturday May 18th 2013 at 0:20 a.m. right in front of the Steigenberger Hotel in Bad Neuenahr close to the Nürburgring in Germany. It is a black car with beige interior. The Vin is #54146. It has an 1956 1600cc A engine #61327. More infos will be on the website we are currently creating which can be reached under www.356-diebstahl.de. It would be very kind of you to spread the word wherever you can.